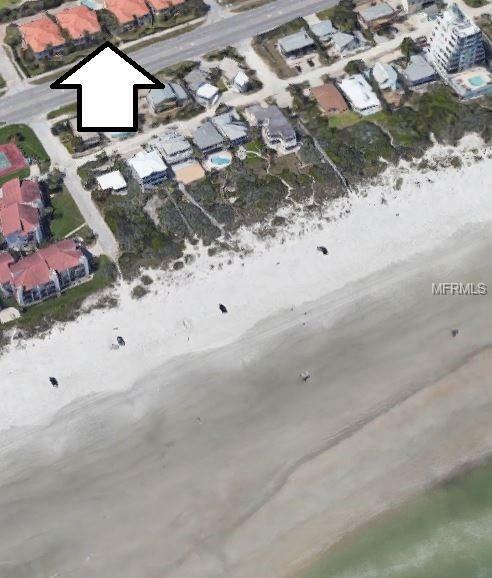 STUNNING dream townhome located just one block from our beautiful beach. Minutes from restaurants, entertainment, shopping, festivals and much more. 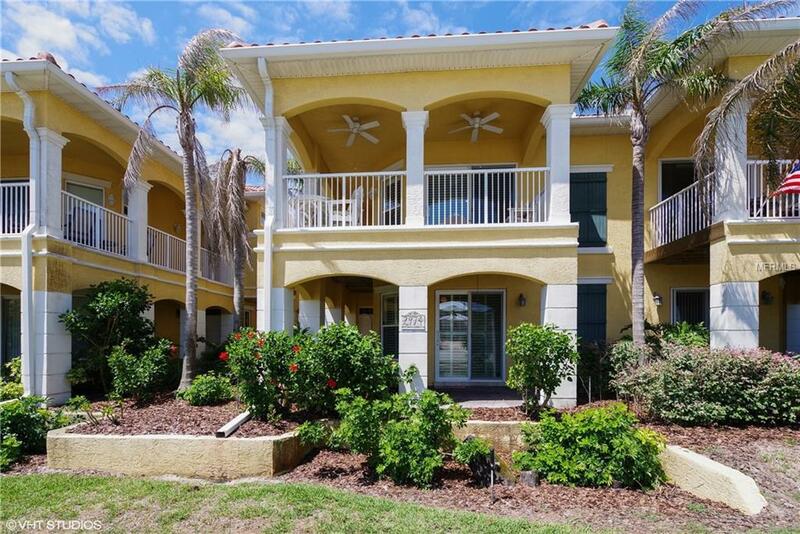 This 3 bedroom, 3 bathroom home boasts two master suites. One spacious master suite on the first level with a walk in closet that runs the length of the bedroom. The spacious master bathroom offers a relaxing Jacuzzi tub, double sinks and large walk in shower. There is an additional master bedroom on the second floor along with an inviting guest bedroom. Truly an entertainers delight offering an open living area concept with a cozy fireplace and large open balcony. 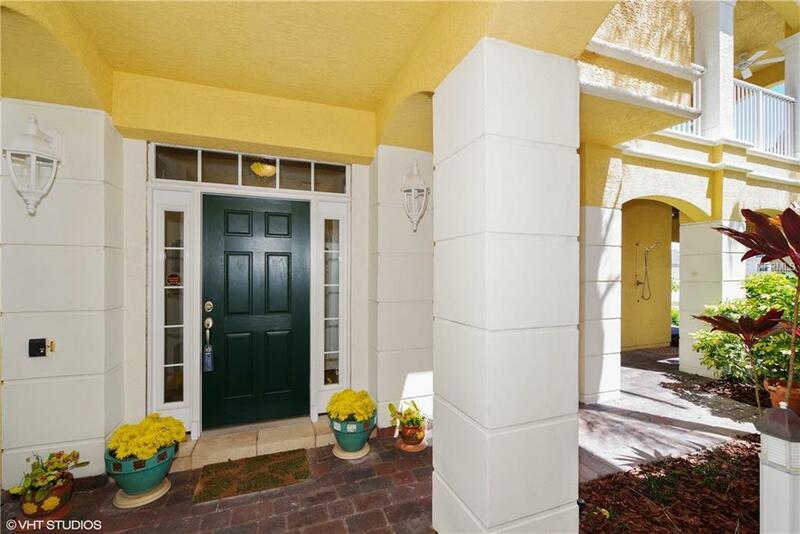 This home has solid concrete block construction with stucco on both 1st & 2nd floors. Clay barrel style roof. Vinyl clad windows & doors with Plantation Shutters and stainless hardware. Carpet on stairs and bedrooms replaced in 2017. 18"x18" tile floors in common areas. Ceilings are 9'6" to 12" allowing for exceptional interior design options. Raised panel 8' interior doors. Knock-down texture on walls & ceilings. 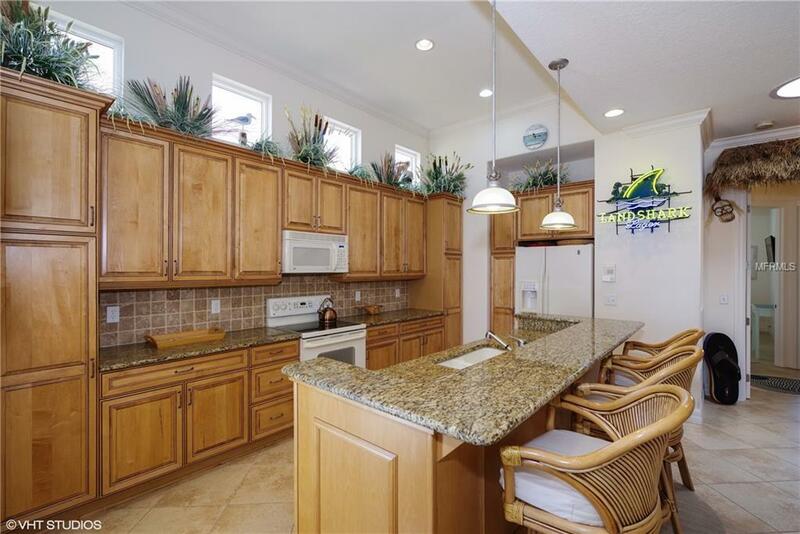 Gourmet kitchen with custom cabinetry & granite tops/backsplash. Large inside laundry room. Oversized two car garage to protect your vehicles and toys from the coastal elements. Outside shower. Never leased, never rented, the Original owners vacation home has been maintained and cared for and it shows, it is in impeccable condition. The inviting sparkling pool just steps away from this beautiful home. Furnishings and housewares' are negotiable.